Extended producer responsibility for packaging and packaging waste must be introduced in all EU countries by 31 December 2024. 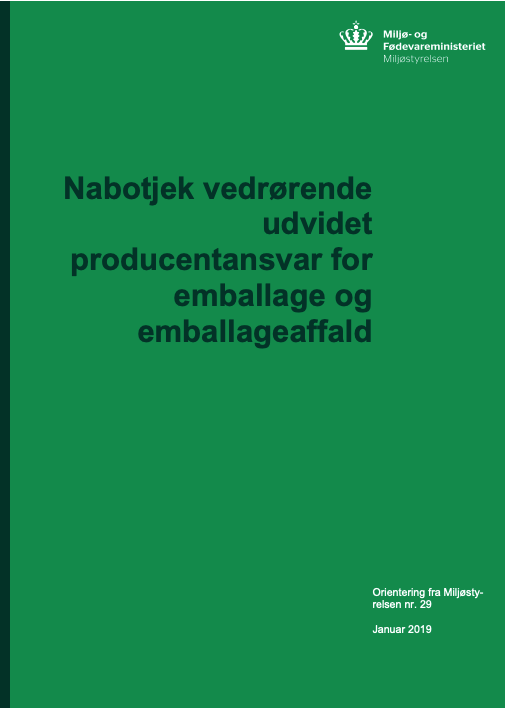 It is new for Denmark, which as the only country in the EU has not already introduced producer responsibility. This will affect the entire value chain from the production of packaging and products for waste treatment in Denmark. The report contains descriptions of producer responsibility models for four countries; Netherlands, Germany, Sweden and Belgium, which will form the basis for the development of a Danish model. For each country, an in-depth mapping of the handling of packaging waste has been carried out. There is a focus on the type of organization model, the division of roles between companies and the municipality, the scope of the system, supervision and control including handling of free riders and fee modulation and eco-design. The Netherlands has a financial model, which means that the municipality handles the entire packaging waste management and marketing for recycling, while the companies are required to pay at least 80% of the costs. The system covers household packaging and non-reusable business packaging. Germany has an operational model, which means that it is the producers who are responsible for the collection, sorting and disposal of household waste. The system only covers household waste. In Germany, there is competition between ten for-profit collective schemes, and the municipalities can bid on equal terms with private actors. Sweden has an operational model, which means that it is the producers who are responsible for the collection, sorting and marketing of household and business packaging waste. 90% of the market is controlled by one non-profit collective scheme that facilitates the tender processes.